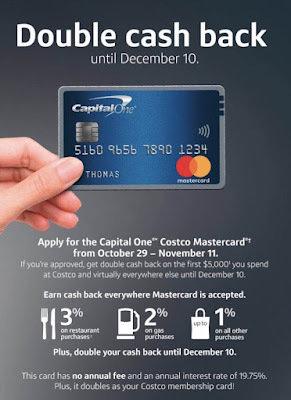 If you apply for the Capital One Costco Mastercard before November 11, 2018, you can get double cash back on the first $5,000‏ you spend at Costco and virtually everywhere else until December 10. 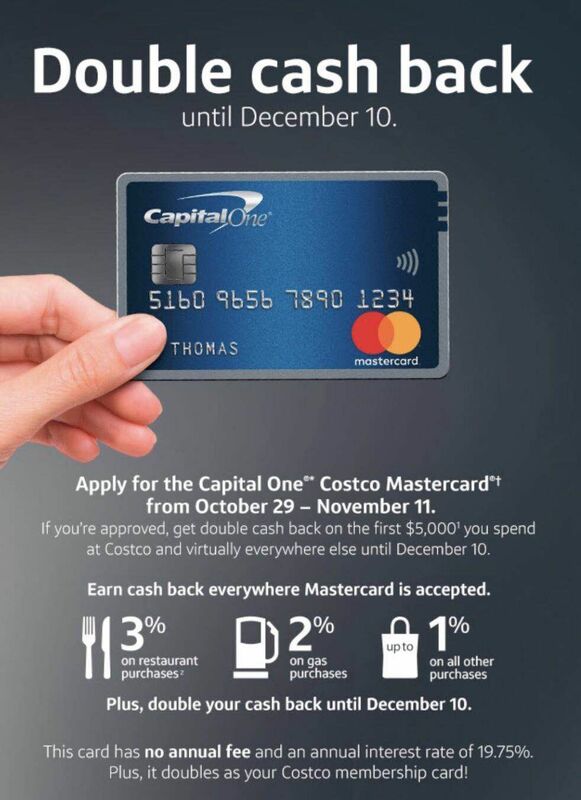 Your double cash back promotional period starts when your credit application is approved and ends December 10. You’ll earn double cash back until the promotional period expires, or you reach the $5,000 promotional spend limit – whichever occurs first. Regular cash back will be earned when the purchase posts to your account. Additional cash back will be reflected online and on your monthly statement before January 31, 2019.